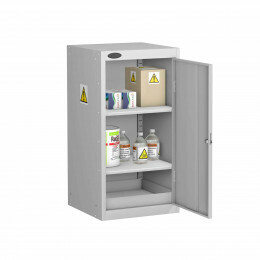 COSHH Compliant Storage Cabinets - PROBE COSHH (Control of Substances Hazardous to Health) General Cabinets allow you to label your cabinet manually using our Self Write Hazard Labels. 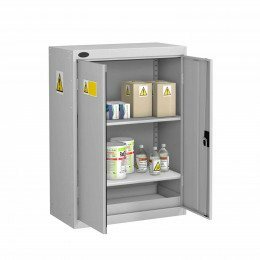 The cabinets are designed to comply with all COSHH regulations and include an internally fitted Smoke/Fire alarm plus a removable 75mm sump base tray using a nitrate rubber seal. 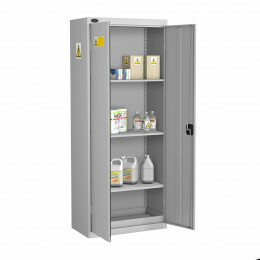 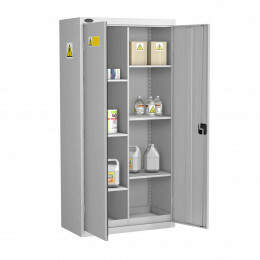 COSHH compliant storage cabinets are an essential part of any company's health and safety procedures. 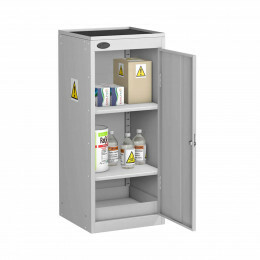 However not all COSHH cabinets are the same.